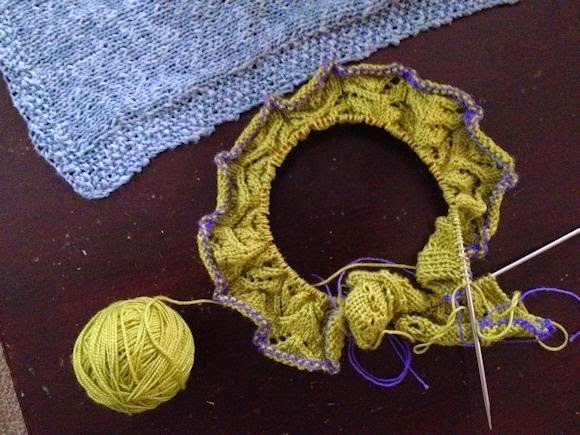 I dug deep in my yarn stash and remembered this lovely yarn I bought while up in Portland Maine a few years ago. I bought the discontinued yarn not knowing what its future held. Well the future is today and the yarn will become a Hitofude! OK. I'm jealous. That color is over the top gorgeous (and one I actually knit with for myself...ha! you thought I only knit with grey!?! yeah, my hitofude IS grey.) Oh, this is going to be fun. We already have a cheerleader and someone knitting some other lacey cardi joining us, and several more casting on the hitofude. I don't know about you, but I may be on the 7-year plan for the completion of this one.....???? Oh, wait. That's what the knitalong is going to try to remedy, right? I have that pattern in my que but now is not the time to begin for me. I would love to join, but am going to be excited to watch your progress! 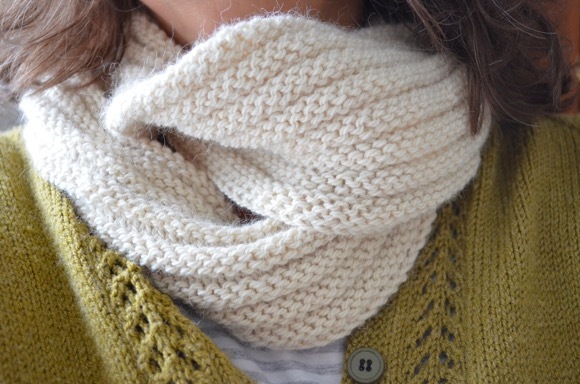 Oh, I love that pattern and your yarn. It's on my list but I haven't looked for yarn yet. Can't wait to see how the KAL goes. maybe you have some in your stash??? Looking forward to watching how you all progress. 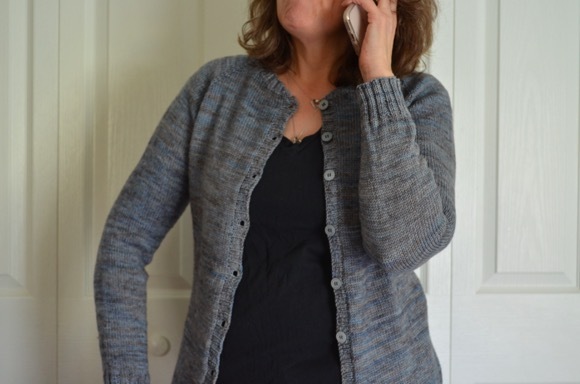 I saw that cardigan on Ravelry too. It is indeed gorgeous. oh! can't wait to see this one completed!!!!! I've seen this sweater and it is going to be beautiful. I think the construction of it is amazing! I'm impressed and You've barely begun. What a beauty of a pattern! This is gorgy Karen, love- love the color! This looks so amazing and SO very complex. I put it in my queue as soon as Steph mentioned it a few weeks back. After reading her post yesterday I'm also joining your loosey-goosey KAL. I have to buy yarn since the yarn in my stash that I immediately thought of won't be enough. But then that won't be a problem either! That pattern looks wonderful-- and like something I coudln't keep my focus on!